Nolan Ramsey thinks he wants to be alone. He leaves his life in the city, leaves his job as a news reporter, and buys a house in the middle of nowhere. He plans a life of complete isolation with just his dog, Scuba, for company. Calinda Willow returns home to help her aging father at the end of his life. She copes with the loss by throwing herself into her work, rejects social invitations from her friend, Jackie, and thinks she is content with her solitary life. Willow Wood is exactly as advertised: a sweet romance between Nolan, a freelance writer, and Calinda, an at home woodworker, living in a rural community in Ohio. Due to past situations and current circumstances, these two introverts have become almost reclusive, only leaving their respective homes when absolutely necessary. Although they are each other's nearest neighbors, several months pass before they meet, and it is only through the machinations of Calinda's extroverted friend, Jackie, and the inadvertent sharing of Nolan's dog, Scuba, that they end up meeting. The romance between them develops at a slow pace as they become friends, then lovers, then estranged, then back to lovers. I was frequently frustrated with the unnecessary angst due to a lack of communication and to insecurity in both characters, However, I kept reminding myself that combining two reclusive introverts does not make for an easy road to a happy relationship. The author, Sheri Richey, made the conflict between the two seem believable, and she kept humor throughout with Scuba and Jackie's frequent intercessions. Marie Pierson's narration was very enjoyable, and she did a good job of expressing the various emotions of the characters. Although she didn't try to differentiate much between character voices, her delivery was smooth and pleasant, adding to my relaxed mood while listening to the book. I enjoyed this story. It was just what it said, a sweet small town romance. I loved scuba and his antics. At some places in the book i wanted to tell them to just talk to each other already, but i think that's how a not very experienced couple would act in their situation. I also enjoyed all the characters and the narration. I would have loved to have known more though, did they get married? have babies? get another dog? I enjoyed this book, however, I did feel it was a bit long and drawn-out. The story itself was a sweet romance that was set in a very small town with a slower pace of life--- translating into the slower story. The narrator did a wonderful job with the voices and overall acting and narrating and was a pleasure to listen to. 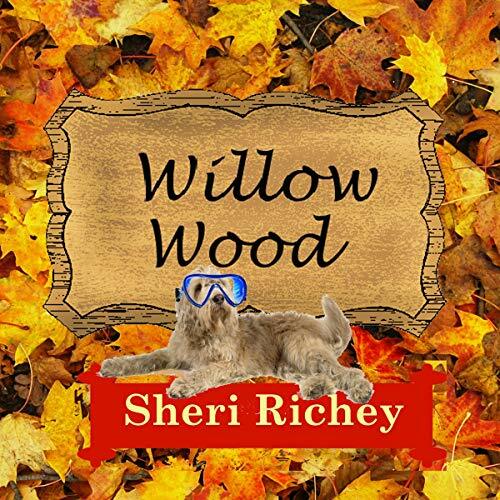 Willow Wood by Sheri Richey is a sweet story. Calinda and Nolan were united by the wonderful dog Scuba. This book features two introverts who lack communication. So much drama could have been avoided if they would only talk to each other. I found parts of the story to be very frustrating. Marie Pierson narrated this book. I would have enjoyed it more if she would have had distinguishable voices for the various characters. I requested this review copy audiobook and have voluntarily written this review. A sweet small town romance is just that...sweet small town romance. Loved the dog. I wanted to help them along a bit. They needed to get out of their own heads. Over all not bad. Sheri Richey has talent. Marie Pierson could use a cocktail to loosen up a little. I received this audiobook in exchange for my honest review.